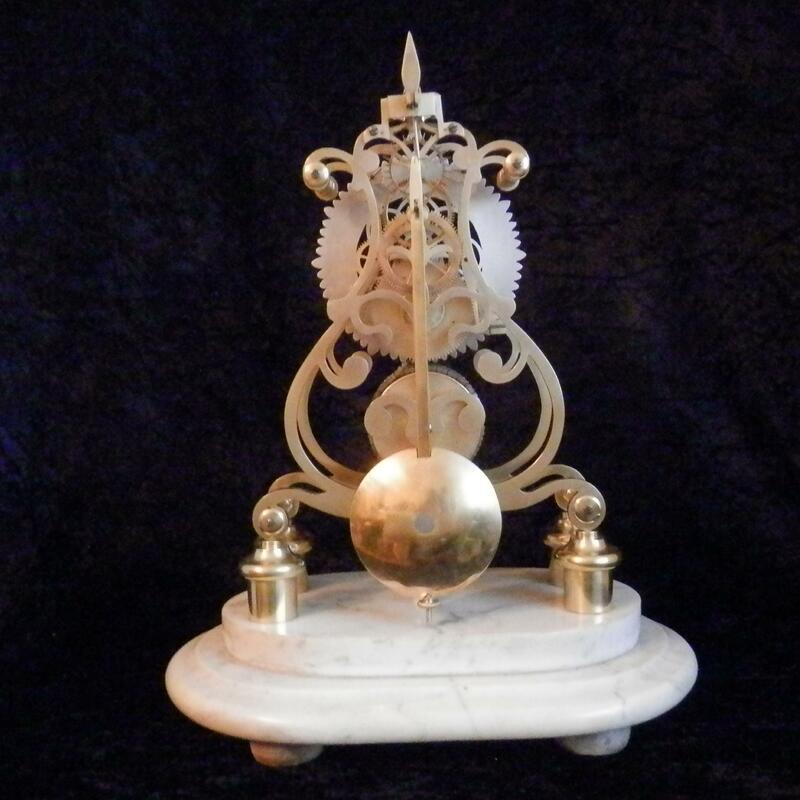 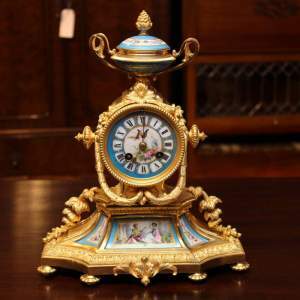 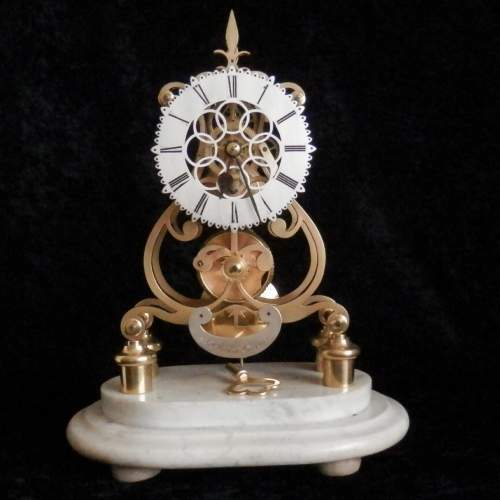 19th Century skeleton clock on a white marble base under a glass dome. 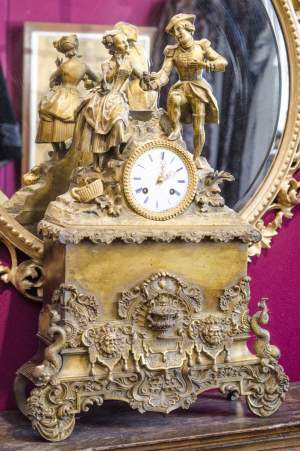 This clock is retailed by Wathen of Chester but actually made by J Smiths of St. Johns Square Clerkenwell London. 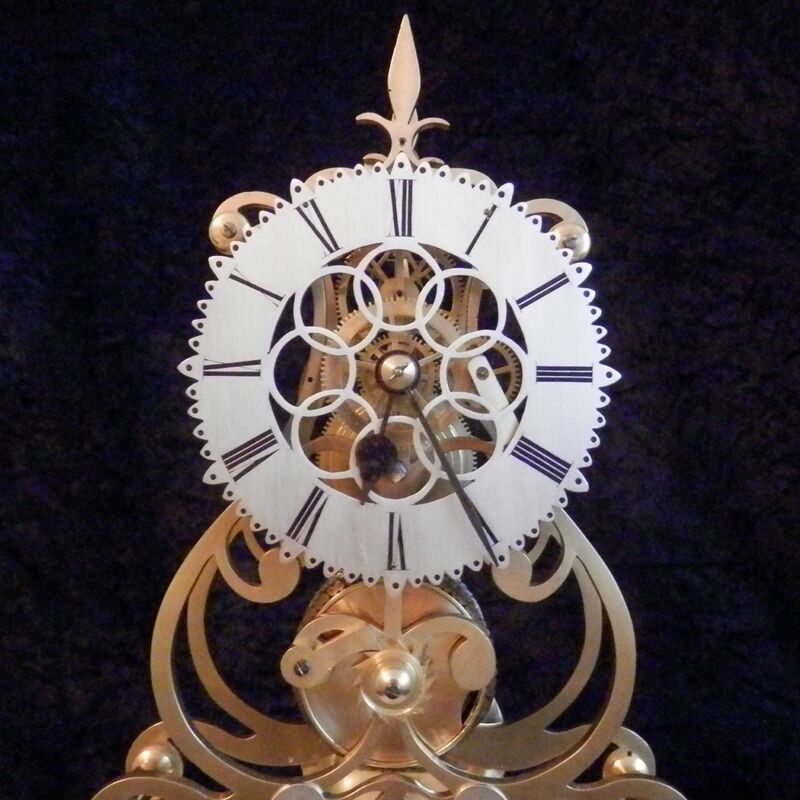 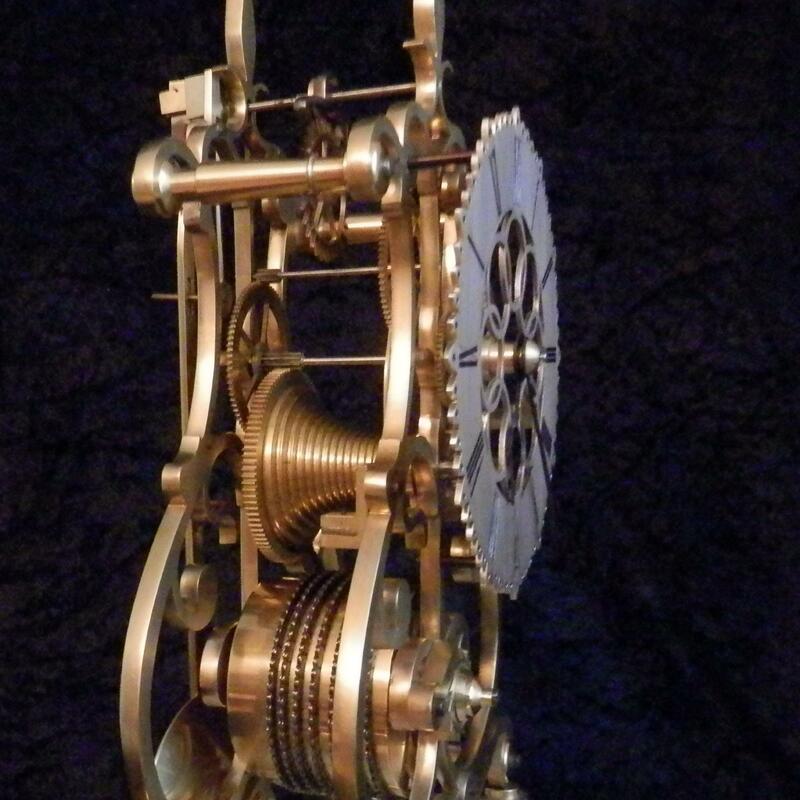 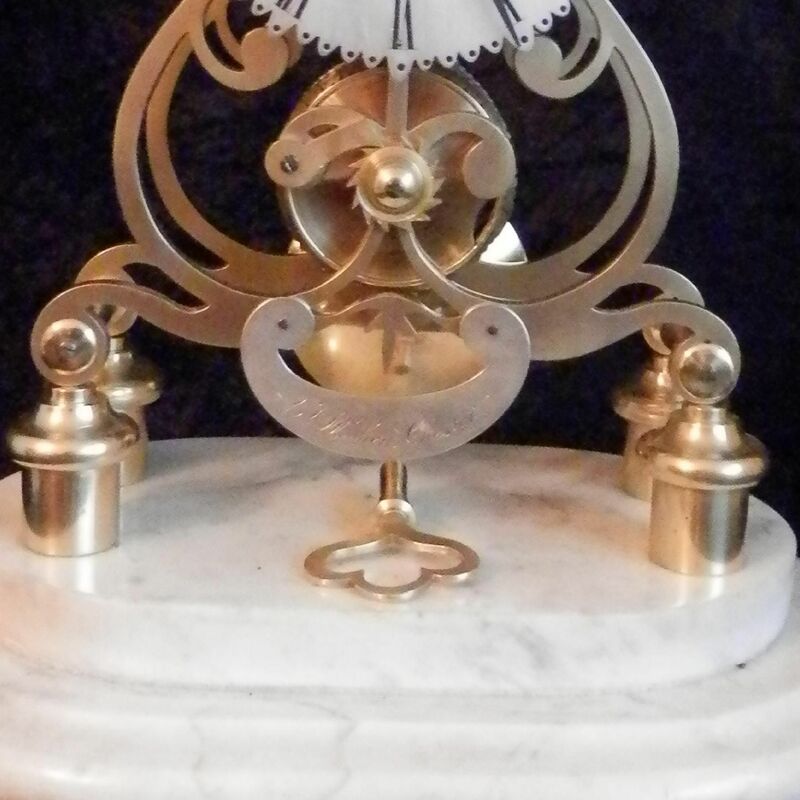 Smiths were one of the leading skeleton clock makers of the period but hardly signed any himself. This clock is in his pattern book which is still in existence. Single fusee movement with chain and five spoke wheelwork ,engraved and silvered dial on original marble base. 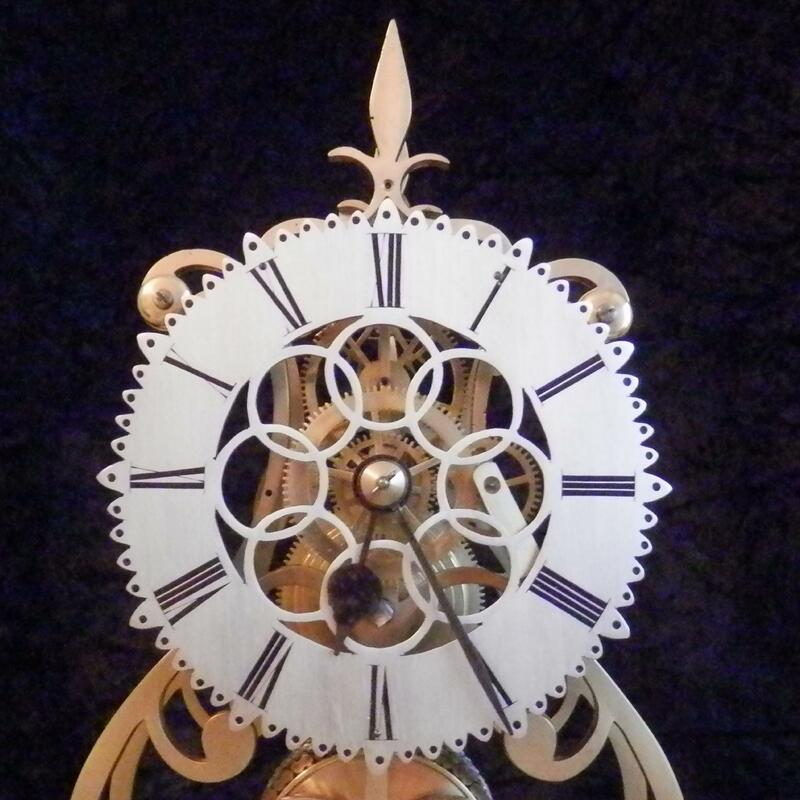 (This is what to look for in an original clock especially 5 and 6 spokes but always a chain ) Circa 1865. Very good condition movement cleaned restored. 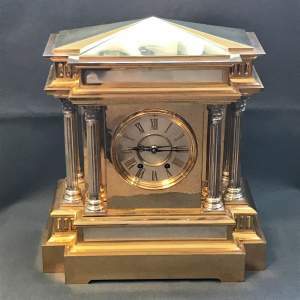 Guarranteed for one year for movement we cannot guarantee glass domes but this one is undamaged.